First of all, one may ask, are French Tip nail designs really French? And the answer would be, no. The French tip nail design came up as a means to match every outfit an actress on stage wore. So by now you already know it is probably the most sophisticated nail design as it blends in perfectly with most dress codes if not all. 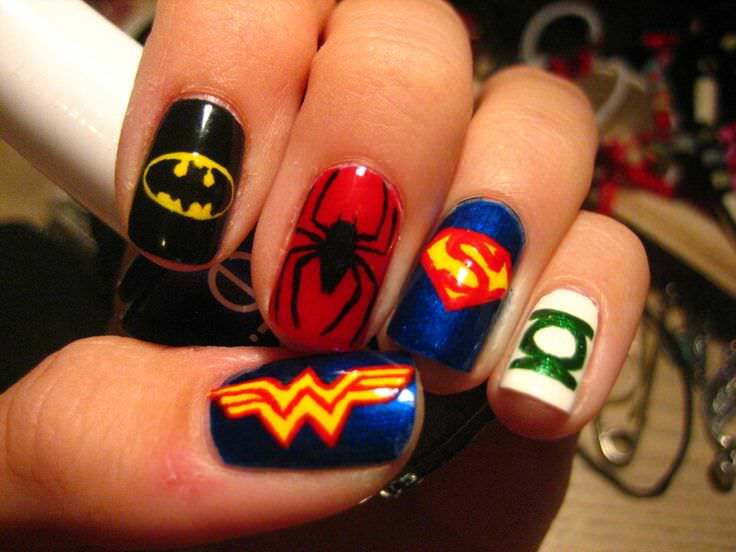 They can be applied on both short and long nails. 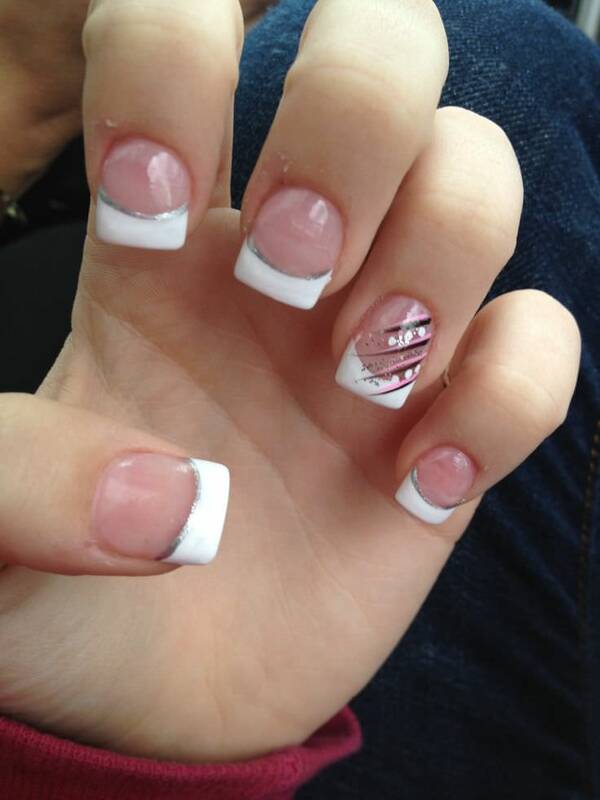 French tip nail designs are classic. 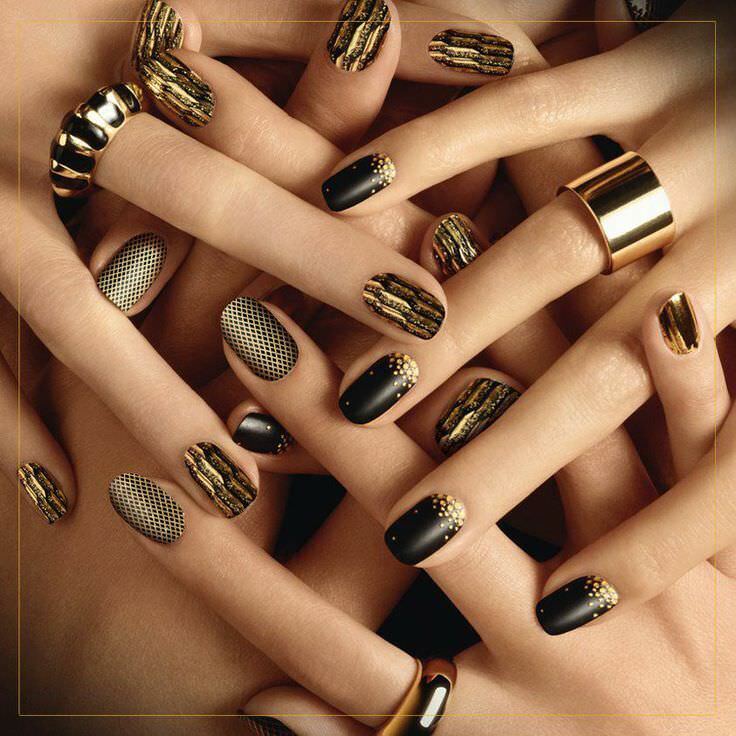 Animal print is the new hottest trend and these black and golden cheetah prints are totally mind blowing to look at. You just have to get them done and you will be allured towards it. 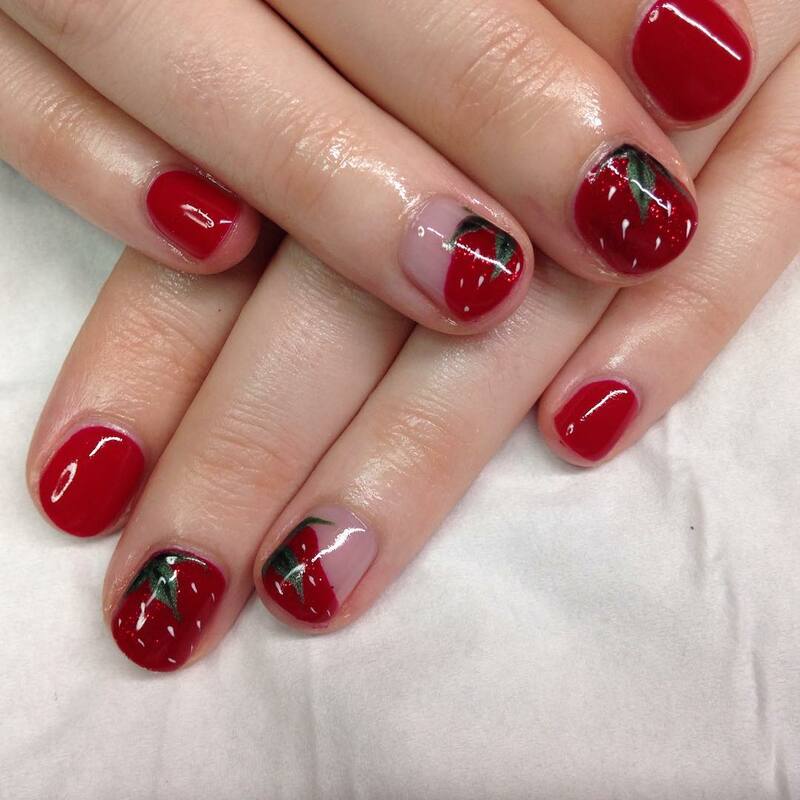 If you have short nails and you want to design them then you can go for this crimson shaded manicure with leafy designs so that you can have an appreciative sort of nail design. 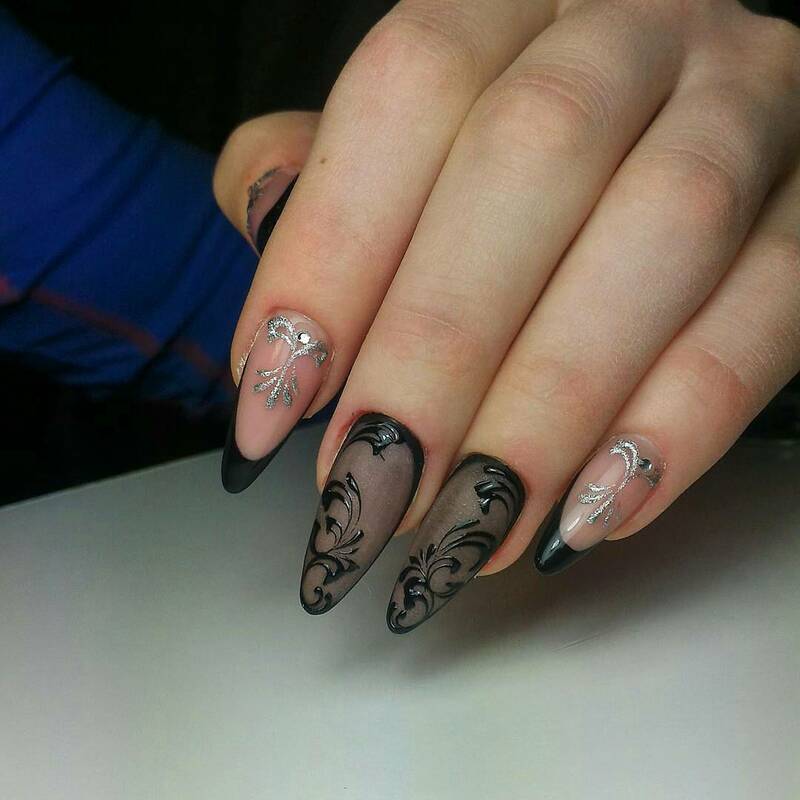 Black and silver go really well together and that is why if you have long nails, then you should be going for these black and silver Victorian designed nail art. Do it in the proper manner and you will be stunned. If you want to have a 3D effect on your nails, then the first thing that you have to do is to go for the acrylic nail art so that the look can be entirely cool. 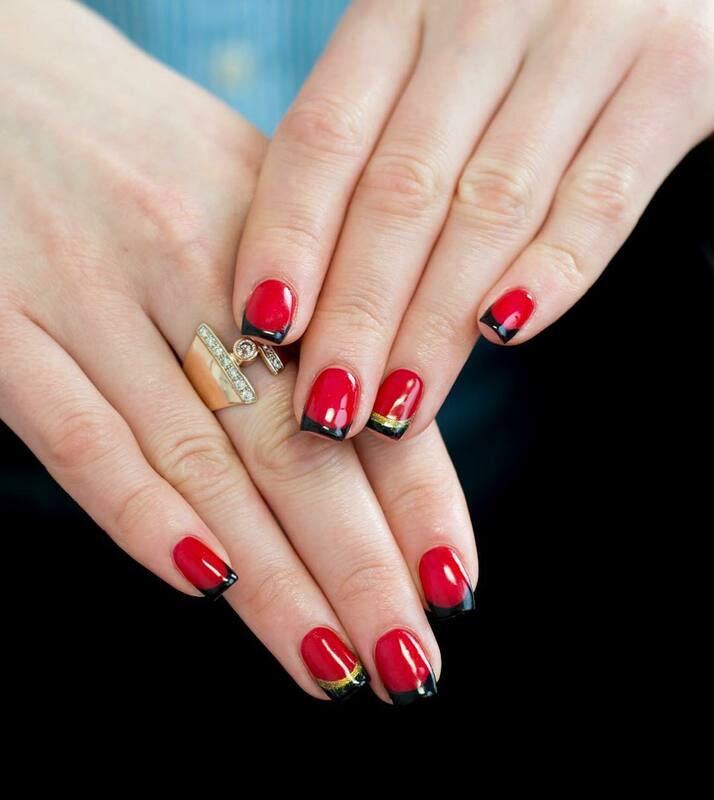 These red nails with black tips are really beautiful and the golden tinge adds the shade of elegance to it. Get it done and you can carry it anywhere you want to. 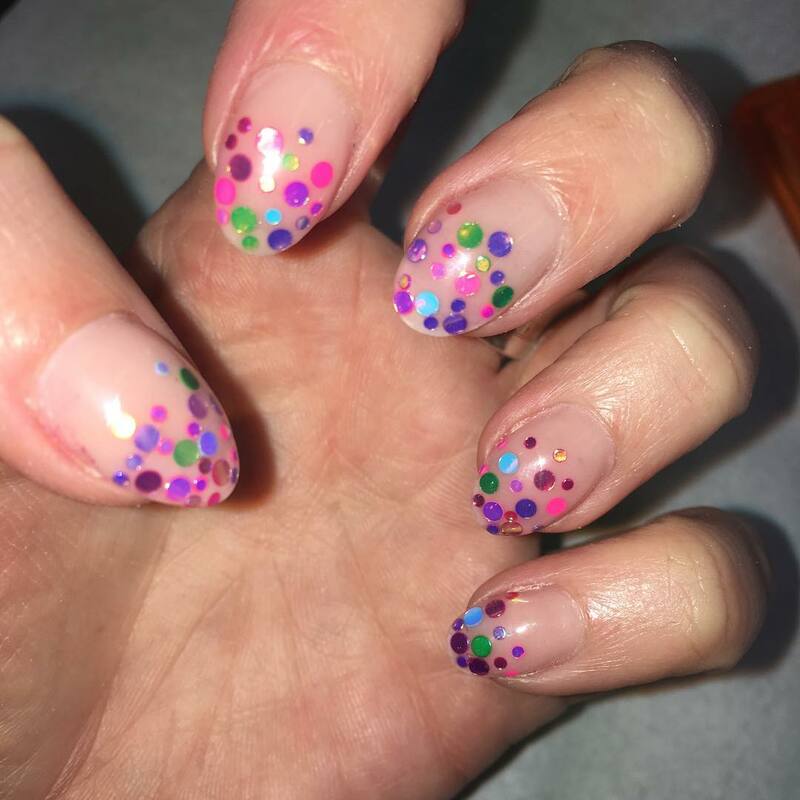 If you want to have an out of the box look on your nails then you definitely have to try this polka dots French tip nail art which looks really cool to go with a party wear. 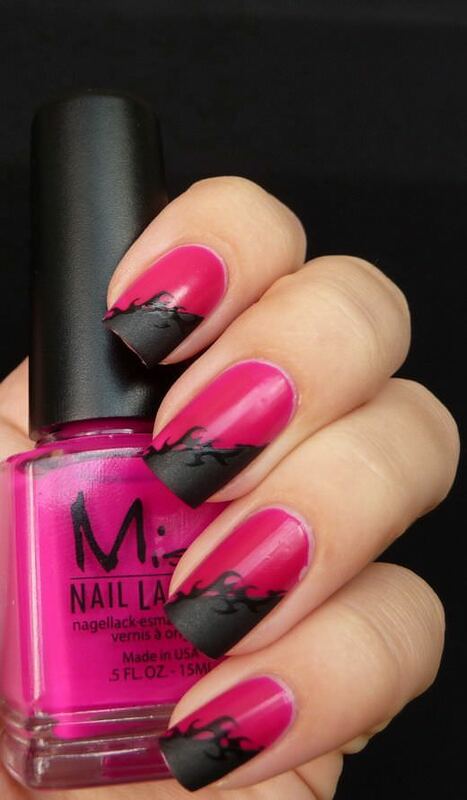 If you have square nails, then you have to do the best of the French designs to have a western look. They are easy to be done, and once done, there will be no regrets. 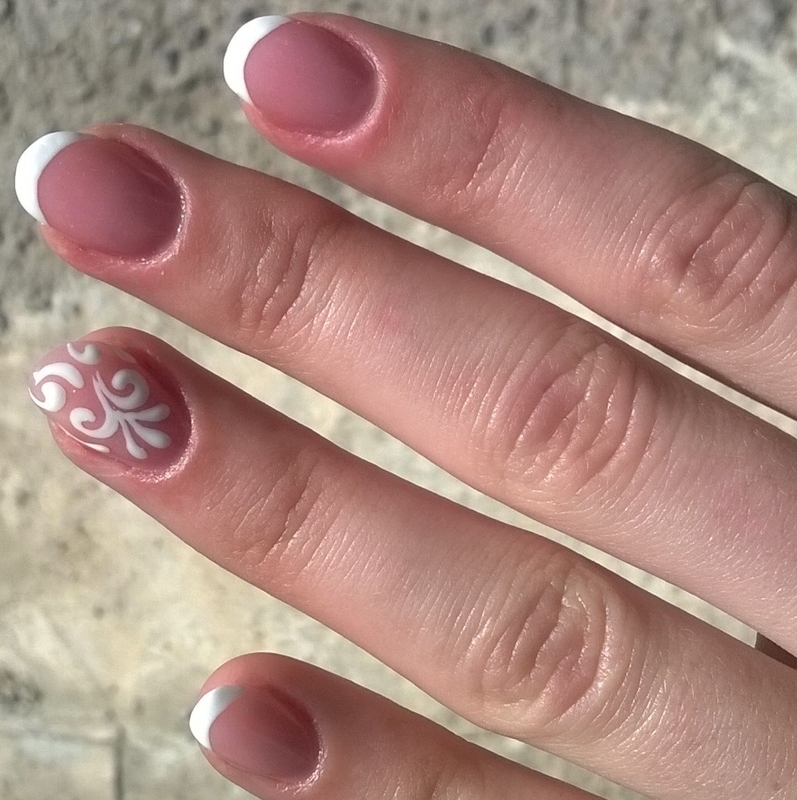 White clean nail manicure can be used to keep the nail design very simple and yet very beautiful to look at. It is good for daily use and it helps to keep your nails clean and polished as well. Clean manicure is done in order to keep the nails clear of any color and yet having a subtle sparkly design on the same. They have sparkly blue designs with studs on them. 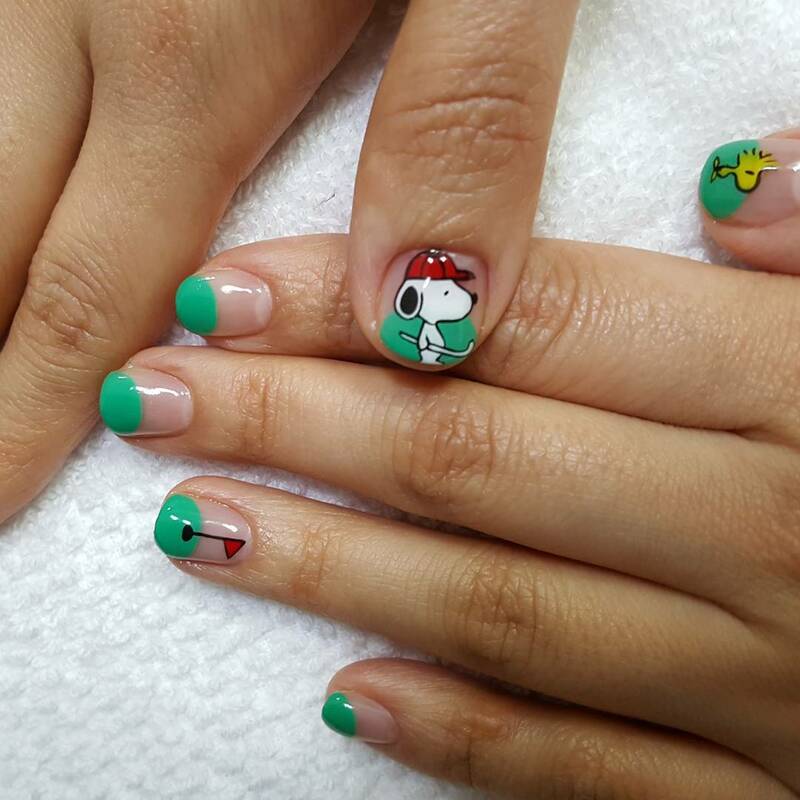 Gel nail paint designs are very cute and the best part about them is that you can even have cartoon characters on your nails. Your friends are bound to love it no matter what. The most celebrated design is the white tip design, sported by many women in various professions and various social statuses. Instead of the white tip, you could change it to another color ie pink, add glitter or the metallic version of the other color you had in mind, to make it pop. 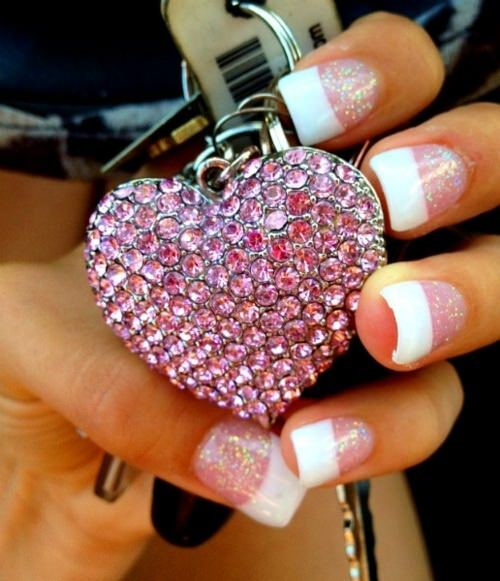 You can also use rhinestones and various nail designs to make it more appealing. If the nail art you’re opting for is a flower, you can leave it incomplete to add a uniqueness to your design. 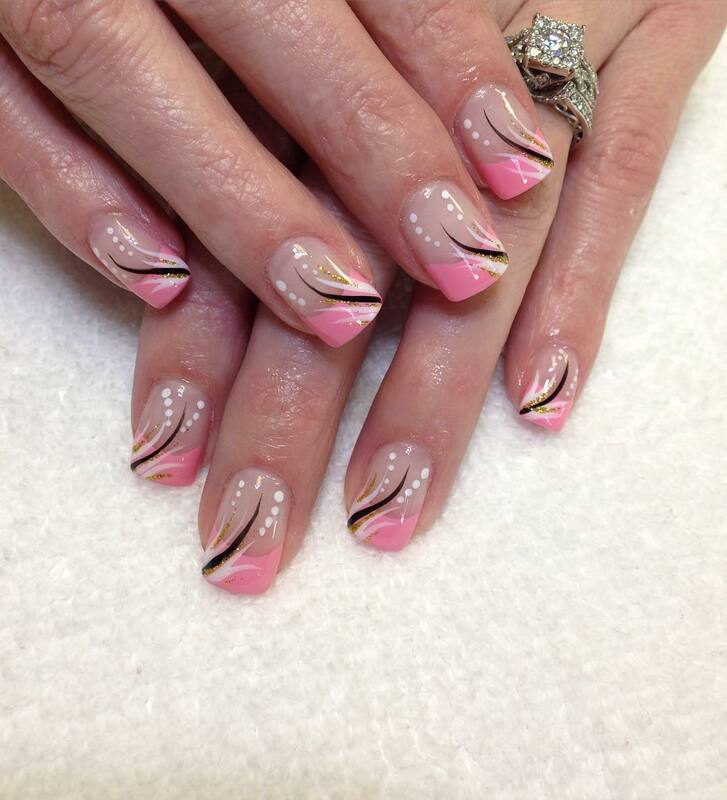 The beauty of French tip nail designs is that with enough practice you can do it yourself. Say goodbye to the queues and months of booking in advance in order to get a proper manicure. 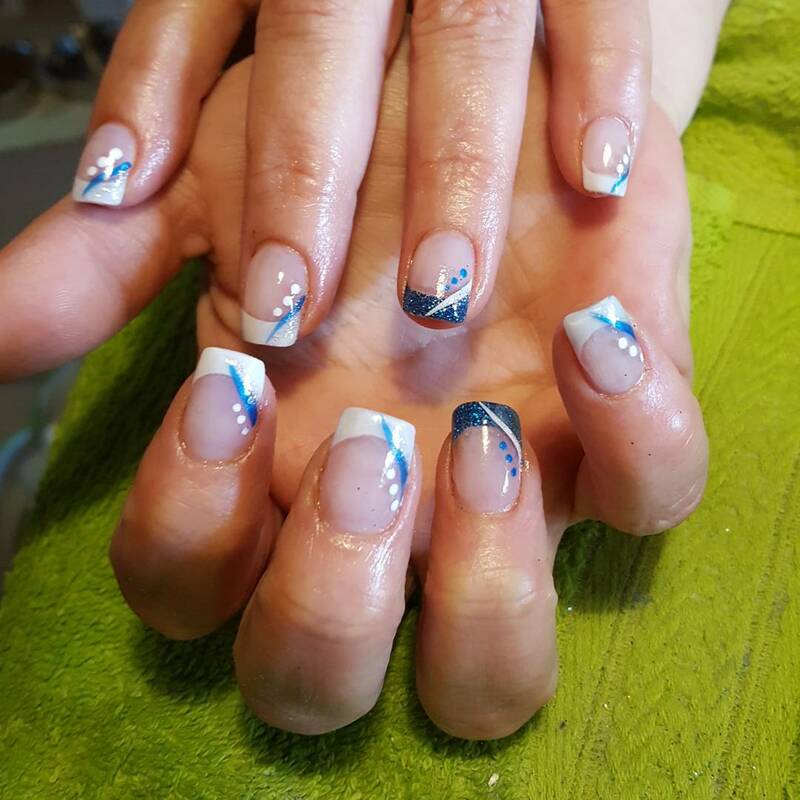 French tip nail designs may be worn by a lot of people but there is always a way to ensure yours stands out in a good way. Get creative. 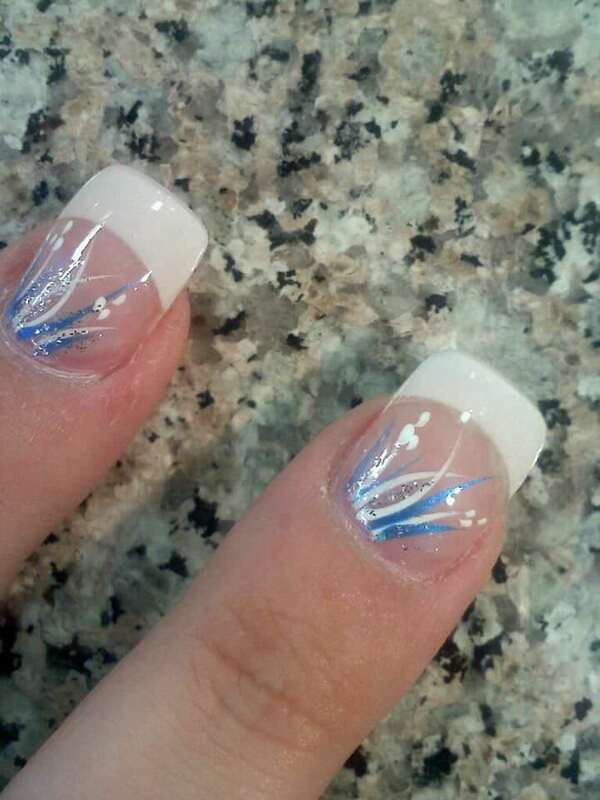 Come up with a modified version of the French tip nail design. 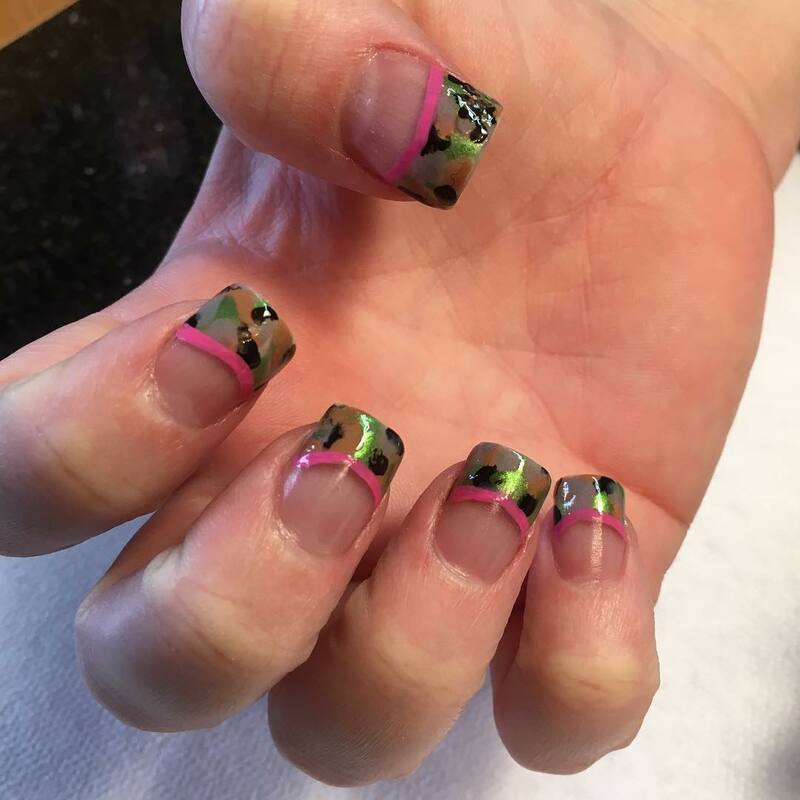 French tip designs are responsible for going with any kind of outfit and any kind of situation no matter what the condition is. 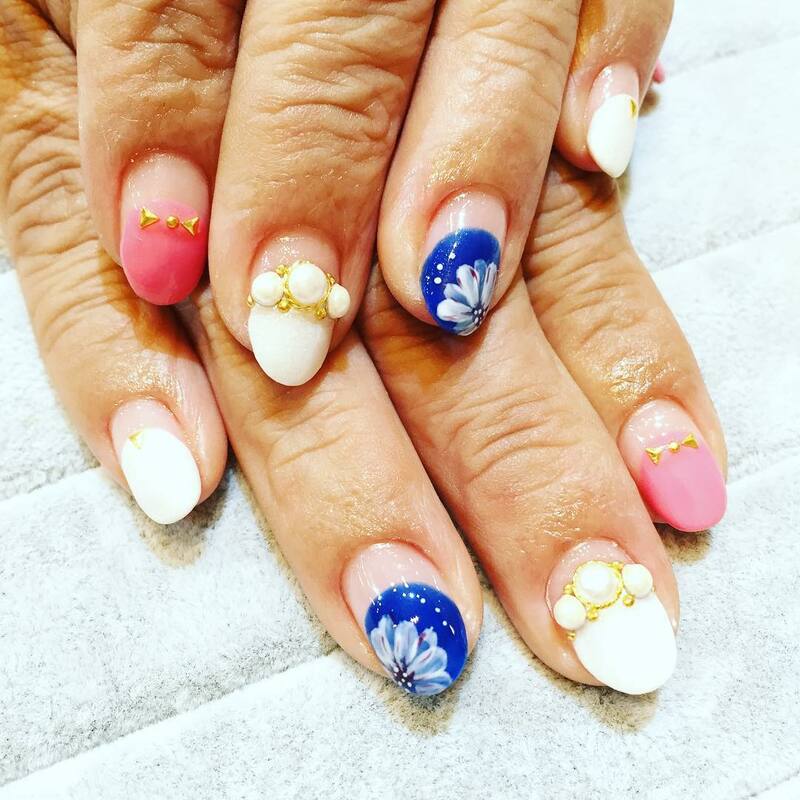 Now all you have to do is to make sure of the fact that you get hold of certain tips so that you do not make any mess while having the manicure done. Make sure that you put the coating perfectly- since imperfect coating leads to a mess. If you are a novice in this job, then do not try it for yourself- get it done by someone first. Let the paint dry before putting the top coat so that the top coat does not mess with the entire decor. Clean your nails in the beginning so that while you are doing the manicure, the dirt does not make the design dirty as well. 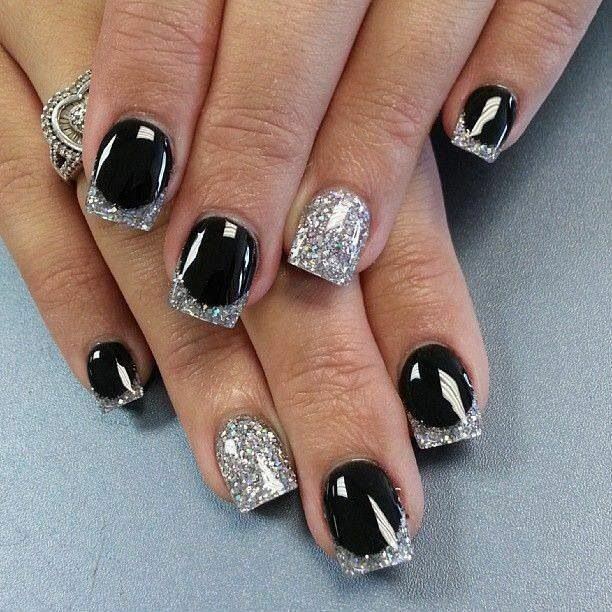 Make use of glitters so that the nails can have a nice touch of shine to it. If you want to give a second coat, then make sure that the first coat is completely dry and ready. For your daily purpose, make sure that the tip of the nails is thickened as they are the parts that tend to get chipped off. If you are going out for a party, then make sure that you keep your nails absolutely vibrant so that you can gain a lot of attention. 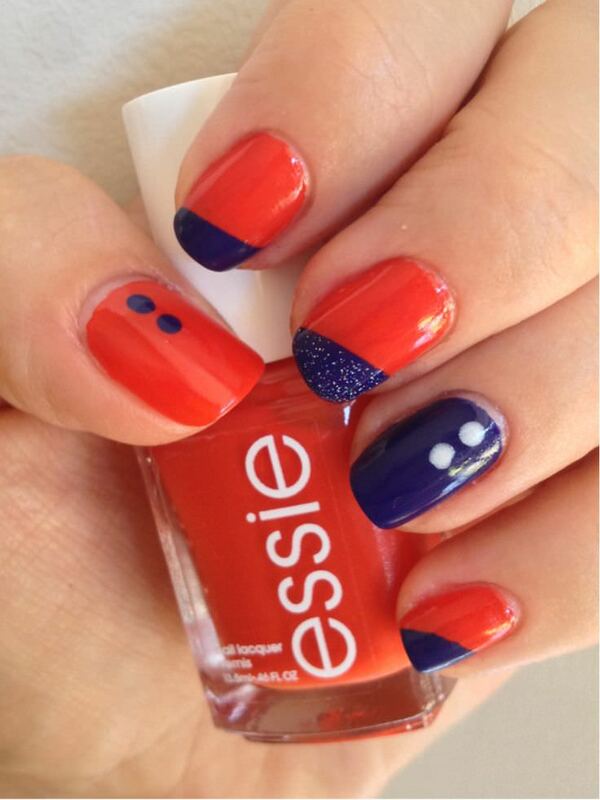 Do not in any way forget to have the base coat as well as the top coat. Get rid of your former nail color with the help of remover so that your nails can have a fresh look.